Celebrate Bitter Lake Reservoir Open Space’s new Fitness Zone Saturday, Nov. 23, 1-2 p.m. at N 143rd St. and Linden Ave. N.
Seattle Parks and Recreation together with Seattle Parks Foundation, MOMentum and The Trust for Public Land are happy to announce the Fitness Zone, an outdoor gym at Bitter Lake Reservoir Open Space. Attend the celebration to dedicate the new exercise equipment, and enjoy fitness demonstrations by Macks Mo and light refreshments. A Fitness Zone provides free, low-impact cardio equipment and strengthening machines. Bitter Lake Reservoir Open Space’s Fitness Zone comprises of a free runner, flex trainer, leg lift and sit-up bench stations. Outdoor gyms offer an affordable to stay fit and contribute to a healthy community. 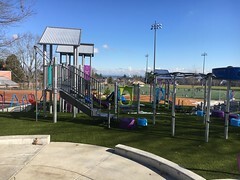 This Fitness Zone is the final component of renovations made to Bitter Lake Reservoir Open Space. Earlier components of the renovation were children’s play area and P-Patch community garden. 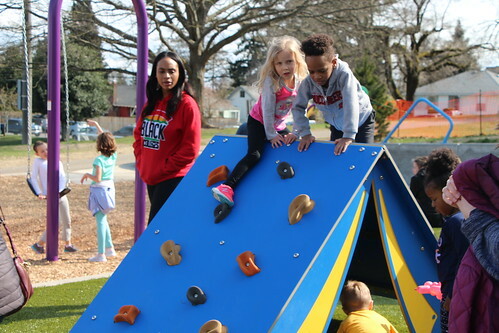 Funding was provided from the Seattle Parks Foundation, MOMentum, The Trust for Public Land and the Seattle Parks Opportunity Fund. 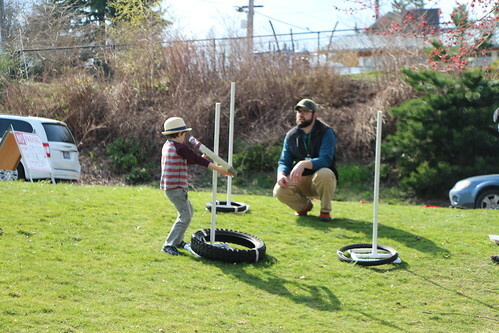 The Opportunity Fund makes money available for community-initiated projects in Seattle parks. Seattle Parks and Recreation invites the community to participate in a planning meeting for the community initiated Bitter Lake Reservoir Enhancement project on Wednesday, September 28, 2011 from 7 – 8:30 p.m. at Tressa Apartments, 14200 Linden Ave. N., Seattle, WA 98133. 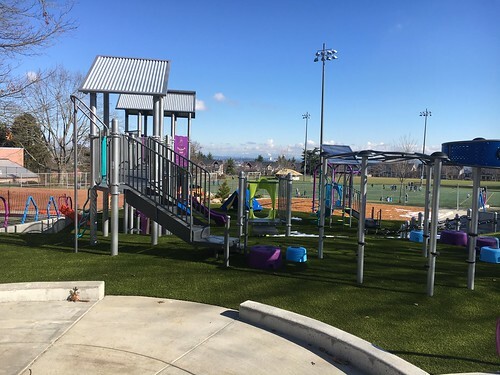 Parks will present a refined schematic plan for the project based on input heard at the first public meeting held in July. The overarching goal for this project is to provide a park-like atmosphere and useable amenities for the residents living in the Bitter Lake Reservoir neighborhood. 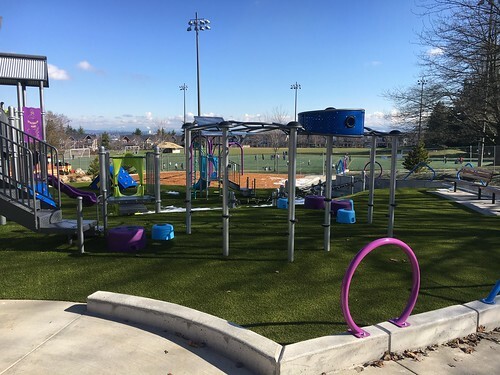 This Parks and Green Spaces Levy Opportunity Fund project provides a new creative children’s play space between the new P-patch and the existing plaza, and brings social space improvements to the plaza. 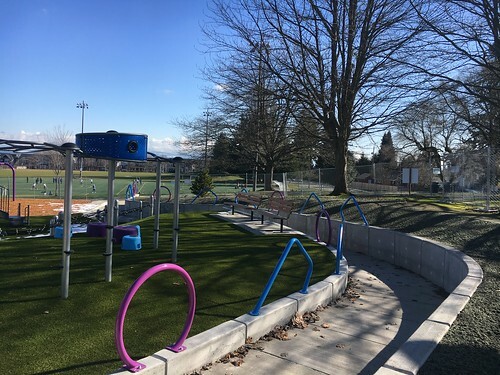 The project site is located along N 143rd St. and the corner of Linden Ave. N.
This is one of 15 projects to receive funding through the first round of the Parks and Green Spaces Levy Opportunity Fund. 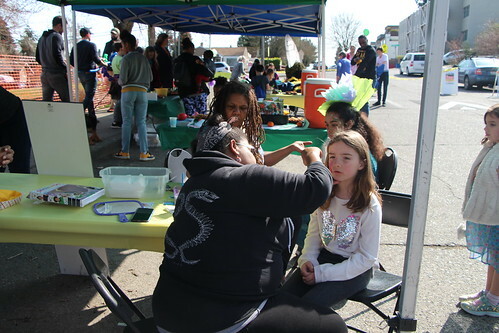 The Opportunity Fund provides $15 million in funding for community initiated park development or property acquisition projects. To view other projects that received funding please visit http://seattle.gov/parks/levy/opportunity.htm. For additional information about the project please visit http://seattle.gov/parks/projects/bitter_lake_reservoir/enhancement.htm or contact Susanne Rockwell, Parks Planner at 684-0902 or Susanne.rockwell@seattle.gov.